The Equifax© data breach: what happened, and what steps to take. The data breach of Equifax, one of the three major credit bureaus, exposed an estimated 145.5 million Americans’ sensitive information. Between May and July of 2017, hackers accessed Equifax’s records containing sensitive information, and in some cases credit card information was also stolen. HomeTrust Bank is dedicated to helping you understand what happened by providing detailed information and important steps to take next. Because Equifax is a credit reporting agency it is important you understand the impact this breach could pose and what actions you should take to help protect your identity. 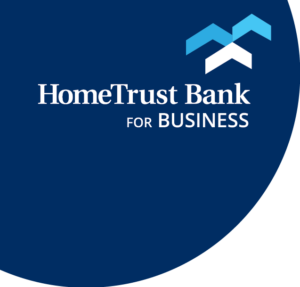 While HomeTrust Bank will do everything we can to help protect you from fraud, we cannot take any of these important steps for you, or on your behalf. On September 7, 2017 Equifax announced that the records of approximately 143 million Americans were breached between May and July of this year. On October 2, 2017, Equifax acknowledged another 2.5 million Americans were breached, bringing the total number to 145.5 million. Equifax has established a special website to find out if you are affected by this breach. Visit https://www.equifaxsecurity2017.com/ to find out. Please note you will be leaving the HomeTrust Bank website by clicking on the link. Scroll to the bottom of the page and click on “Potential Impact”. The site will ask for some personal information and will tell you if you’ve been affected. Be sure you’re on a secure network (not public wi-fi) when you submit sensitive data over the internet. Visit Equifax’s website to determine whether your information was compromised and to enroll in its free credit monitoring program, TrustedID Premier. This website will ask for your personal information, including parts of your Social Security Number. As with any sensitive information online, only access this site through a secure network, such as your home. Never submit this type of information over an unsecured or public network, such as at a coffee shop or in-store networks. Equifax is offering this free credit file monitoring and identity theft protection to all U.S. consumers for one year following the breach. Monitor all your accounts. Online banking is a great resource for monitoring your accounts for unauthorized transactions. If you suspect you are a victim of fraud, you should alert your bank or creditor right away. Do not trust e-mails that appear to come from Equifax regarding the breach. What if I discover fraudulent transactions or accounts? Should you discover unauthorized transactions or other types of fraud, report them to your bank or creditors immediately so they can investigate the transactions and take measures to protect your accounts. What is a “freeze” on my credit? Should I do that? A freeze generally stops all access to your credit report. Applying for a loan, renting an apartment, getting quick credit in an emergency, taking advantage of a one-time offer, or even getting a cell phone all require access to your credit report which is restricted during a freeze. If you have plans to apply for credit soon or think you might need quick credit in an emergency, a better option could be placing a fraud alert on your files with the three major credit bureaus. Fraud alerts are an alternative for people who are concerned about identity theft. It gives you added protection without limiting access to credit. A fraud alert puts a “red flag” on your credit report which requires businesses to take additional steps, such as contacting you by phone before opening a new account. Details on the differences between a fraud alert and credit freeze can be found on the Federal Trade Commission’s website. How do I contact the three major credit bureaus to place a freeze? Equifax has agreed to waive all credit freeze fees for the next 30 days for people who want to freeze their Equifax credit files. There may be a cost associated with freezes from other bureaus. You can learn more directly from Equifax. You can also learn more by visiting the Federal Trade Commission’s web page on the breach. To learn more about how to protect yourself after a breach, visit the Federal Trade Commission’s website on Identity Theft. Federal Trade Commission – Identity Theft What to Know and What to Do (PDF). Federal Trade Commission – Identity Theft – A Recovery Plan (PDF). Federal Trade Commission – The Equifax Data Breach: What to Do (website).